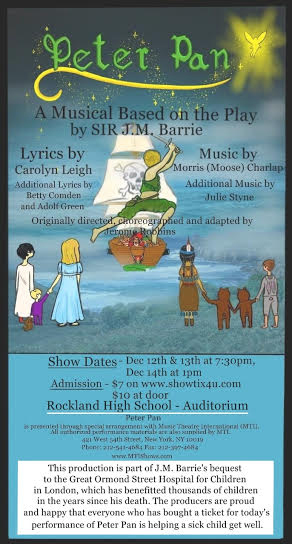 Rockland High School’s Theater Guild brings back their amazing plays and this year they will present to you the well loved Peter Pan musical play. Jennifer Hartnett, the chorus teacher for both Rockland Middle School and the high school, is the new faculty director for the Theater Guild. For the last few years science teacher Angelina Armstrong was the director. She’s still helping out, but she wants to spend more time with her family. Peter Pan is a family friendly classic and a play that many people enjoy. It’s also Hartnett’s choice for her first play. 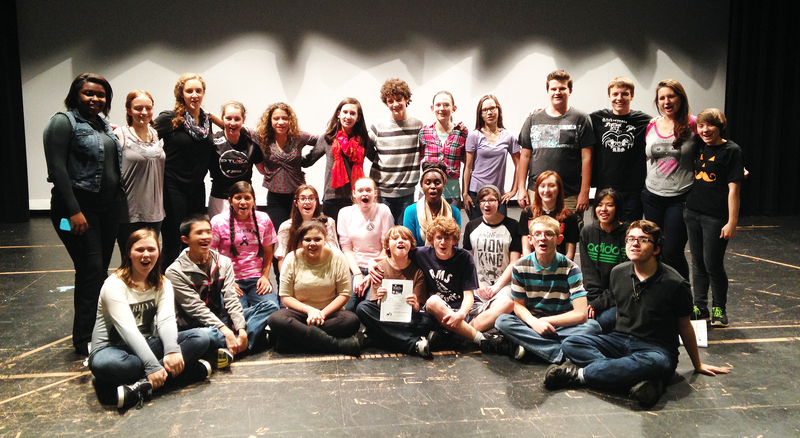 The play is coming along together smoothly with rehearsals Monday through Thursday. When tech week comes around they will be working Monday through Thursday from five o’clock to ten o’clock, making sure the play will be perfect. Hartnett says different scenes such as a pirate ship will be designed by Ms. Armstrong. She also says they are considering using the projector to create certain special effects. There will be many fun props but sadly, there will be no flying Peter Pan. Peter Pan will be premiering on Friday, Dec. 12 at 7 pm, Saturday, Dec. 13, also at 7 pm, and lastly on Sunday, Dec. 14 at 1 pm.